Are you looking for the perfect unique gift for your college graduate? Do you have a student or child moving out on their own? Maybe they would enjoy having some simple recipes from home that they could make for themselves in their new place! Are you a student settling into your own place for the first time, setting up a new kitchen and ready to organize favorite recipes online for easy access and sharing? 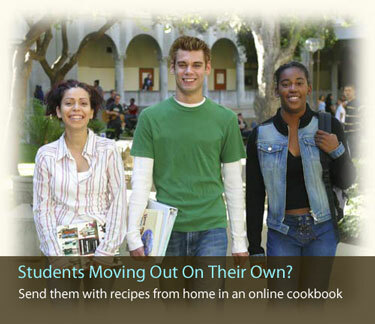 Create a free account and enter some favorite recipes that students and young adults can use when cooking for themselves or friends during this new stage of life. The Dish Dish online cookbook service is a great tool to help students eat a little better and have some fun, too, experimenting with recipes they have always enjoyed. If you’d rather have us type your recipes in for you, consider our Concierge Offer – with which we will type the recipes into your online cookbook for you (just submit them to us electronically or via mail) and you’ll receive our bamboo cutting board , as well, getting your student or graduate started off well in the kitchen. 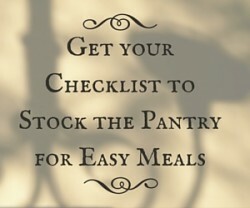 Additionally, our iPad / iPhone app, Dish Dish Online Cookbook, makes it easier than ever to access recipes and the shopping list while in the kitchen or on the go.